Welcome to the official website of American Sixties Radio, the all-music station playing your favorite songs of the sixties (1960-1970) from artists of the North American continent (United States and Canada) and a few American or Canadian top-10 hits by British artists. On our player, you will, at any time, know the title of the song, the name of the artist, its year of recording or release, and view a good high-quality album art. Come back often as we add new songs on a regular basis. If you like our radio station, tell your friends, listen often, and don't forget to like us and follow us on Facebook. We play the great American songs of the sixties from the artists of the early sixties like Sam Cooke, Bobby Vee, Bobby Darin, Chubby Checker, Lesley Gore, Bobby Vinton and Bobby Rydell; the unforgettable performers like Elvis Presley, Sonny & Cher, Ray Charles, Bob Dylan and the Four Seasons (the greatest American band of all time! ); the great California bands like the Beach Boys, the Association, Jan & Dean, the Buckinghams, Paul Revere and the Raiders and the Turtles; the wonderful Motown artists like the Supremes, the Temptations, Martha & the Vandellas, Stevie Wonder, Smokey Robinson, Aretha Franklin and the Four Tops; the great crooners and divas like Frank Sinatra, Connie Francis, Nat King Cole, Dionne Warwick, Perry Como, Dean Martin, Paul Anka and Andy Williams; the fabulous country crossovers like Glen Campbell, B.J. Thomas, Bobbie Gentry, Johnny Cash and Patsy Cline; the amazing girl groups like the Ronettes, the Chiffons, the Marvelettes, the Crystals and the Shirelles; incredible instrumental classics by Henry Mancini, Bert Kaempfert, Ennio Morricone, Duane Eddy, Booker T. and the M.G. 's, the Ventures, Herb Alpert & the Tijuana Brass; the fantastic Canadian artists like the Guess Who, Gordon Lightfoot, the Original Caste, Anne Murray, Ian & Sylvia and the Poppy Family; the "bubblegum" acts like the 1910 Fruitgum Company, the Ohio Express, the Monkees, Andy Kim, Bobby Sherman, the American Breed, the Archies and the Banana Splits; the "One-Hit Wonders" like Keith, Billy Bland, Steam Claudine Clark, the Contours, J. J. Jackson, the Youngbloods, Friend & Lover, the Outsiders, the Soul Survivors and the Lemon Pipers without forgetting the late sixties influences like the Doors, the Buffalo Springfield, the Electric Prunes, Canned Heat, Crosby, Stills & Nash, the Grass Roots, Jimi Hendrix, CCR and the Jefferson Airplane. We love everything sixties, from Lawrence Welk to Steppenwolf! Give us a try! It's groovy! Four hours of chart toppers from our 60s music library, influential rock-and-roll songs of the late 50s from pioneer artists like Elvis Presley, Chuck Berry, Buddy Holly and Paul Anka, a few early 70s hits (1971-1973) that blend well with our programming and songs from British artists that made it to the top 10 in the U.S. or Canada during the decade featuring the Beatles, the Rolling Stones, Petula Clark, the Kinks, the Animals, Dusty Springfield and Herman's Hermits. 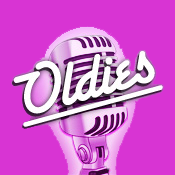 These are the best-known and most-beloved tracks of our playlist, really the good oldies you know by heart! All of this mixed with old-fashioned 60s-type radio jingles. Tune in! You're sure to hear your favorite songs! Jim Foster is also responsible for most of our station imaging. Good Times... Great Oldies! is our all-day/all-night program when no other shows are scheduled. We play our full playlist of thousands of songs from 1960 to 1970: Big hits, B-sides and album cuts. Enjoy! American Sixties Radio is broadcasting 24 hours a day since January 2nd, 2005. Our streaming servers are managed by TorontoCast, a SOCAN (The Society of Composers, Authors and Music Publishers of Canada) licensed provider. We operate in full compliance with international internet broadcasting laws and regulations.